Tofino writers, photographers, artists and many local experts have greatly contributed to the content of Tofino Time Magazine over the years. All content of this website and in the printed publication of Tofino Time Magazine is protected by copyright and used with permission. Republishing material from Tofino Time in any form is subject to copyright of the content provider and Tofino Time Magazine. All maps are the property of Think Tank Design Inc. in Tofino. Used with permission. 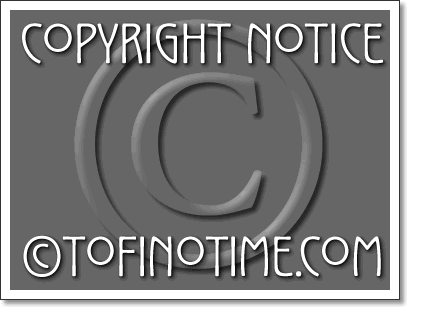 Copyright notice from Tofino Time Magazine on behalf of Tofino writers and photographers, illustrators and artists.